The Office of Fleet Services provides vehicle services in support of Georgia Institute of Technology. Our goal is to provide exceptional customer service, procure safety, be dependable with cost effective vehicles and equipment, while providing sustainable business and fleet operations. The Office of Fleet Services manages and provides assistance to the Georgia Institute of Technology in compliance with the standards developed by the State of Georgia Office of Fleet Management. 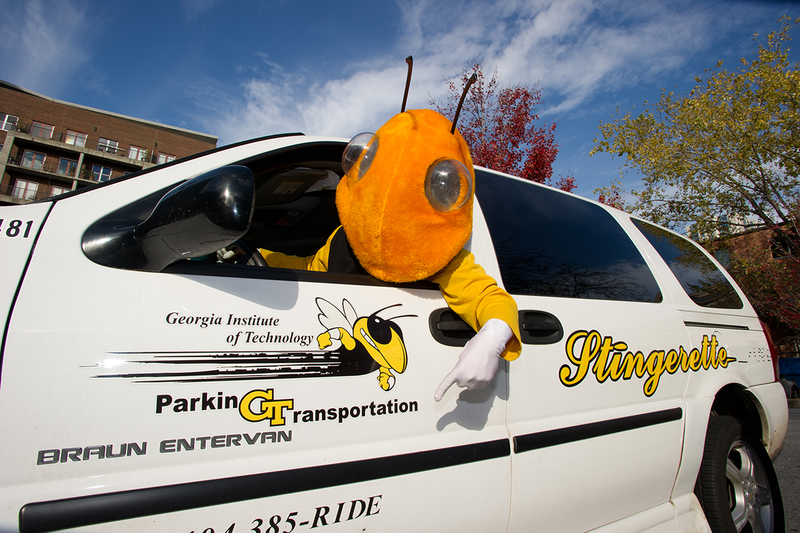 Fleet Services is responsible for all motor vehicles either owned, rented, leased, donated or otherwise under the possession and control of the Georgia Institute of Technology. Thereby managing all policies, rules and regulations, governing the purchase, operation, use, assignment, maintenance, service, repair and disposal of vehicles. In March 2016, Georgia Tech’s Fleet Services department earned the Blue Seal of Excellence Recognition as prescribed by the National Institute of Automotive Service Excellence (ASE), a non-profit organization dedicated to improving the quality of vehicle repair and service by means of voluntary testing and certification for automotive repair and service professionals. To be eligible for this recognition, an organization must have 75% of its automotive professionals ASE certified. In addition, there must be a certified technician in each area of service offered. Preventive maintenance and repair records shall be kept for the life of the vehicle by the Facilities Fleet Services. Any costs associated must be recorded in VITAL Insights (DOAS Fleet Management System) by Fleet Services. Documentation of work performed by an outside repair shop (i.e. invoice) must be submitted to Fleet Services within 5 business days. All departments that own or control motor vehicles must have procedures in place to track vehicle usage by employees and volunteers (i.e., vehicle logs, key check-in/check-out, individual vehicle assignments, etc.). Any repairs recommended by the Facilities Fleet Services involving vehicle safety issues that are declined for repair by a department will be brought to the attention of the Department Head with the recommendation that the vehicle should be taken out of service until repairs are completed, in accordance with the Governor’s Office of Planning and Budget Policy 10, Rule 9: For more info, click here. If the Facilities Fleet Services Manager determines that a vehicle is unsafe to drive, the Department Head and Insurance & Claims Management will be notified and the vehicle will be taken out of service until the repairs are made. For all Georgia Tech vehicle service and maintenance request complete the work request form and submit to our offices. 1.Preventative maintenance/safety inspections at least every 3 to 6 months done by either Facilities Fleet Services or an outside mechanic repair shop. Facilities Fleet Services provides a Preventive Maintenance Check List for guidance and scheduling. 2.If a vehicle is under warranty, Fleet Services will ensure the vehicle has at least the normal preventative, scheduled maintenance performed as required by the vehicle manufacturer and that materials used meet specification, so as not to void warranty coverage. 3.It is suggested that departments conduct weekly vehicle inspections. EH&S provides a Weekly Motor Vehicle Inspection Checklist for guidance. 4.It is suggested that Drivers perform a “walk a-rounds inspection” before each use of vehicle in order to identify any obvious hazards or defects (i.e., broken taillight,low tire pressure, etc. ).